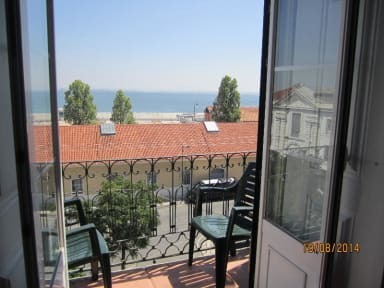 Guesthouse Beira Mar v Lisabon, Portugalsko: Zarezervujte nyní! We have suites and rooms with Private Bathroom for family or friends with 3, or 4 beds with balcony sea view. 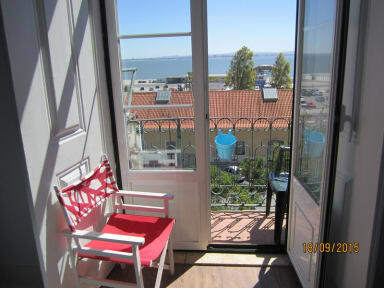 Guesthouse Beira Mar has an equipped kitchen, accessible to all guests wishing to prepare their meals and enjoy them in the dining room which overlooks the Tagus River. Free WiFi is available in the lounge area and computers for guest usage. The lounge features a flat-screen TV, sofas and a seating area overlooking the river. Breakfast included and free internet and common areas. We do not accept school groups with less than 18 years.